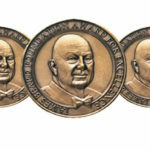 The recent James Beard Awards, held at Lincoln Center’s Avery Fisher Hall on May 9, celebrate the stars of the restaurant and cookbook worlds, and this year’s winners included some true Irish talent. 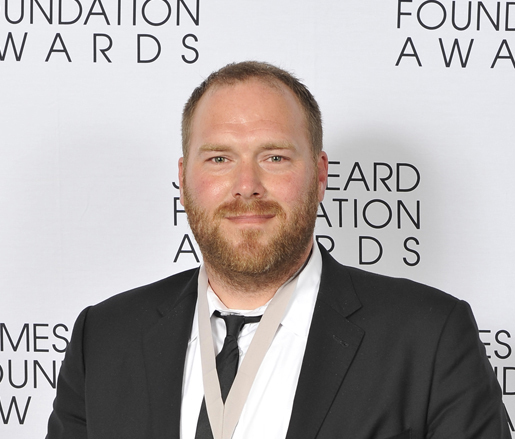 Matt Dillon, of Seattle restaurant Sitka & Spruce, went home with the award for Best Chef in the Northwest. 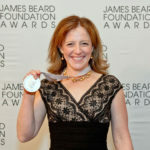 Maureen O’Hagan won a Health and Well-Being writing award for her piece “Feeling the Weight” in the Seattle Times. 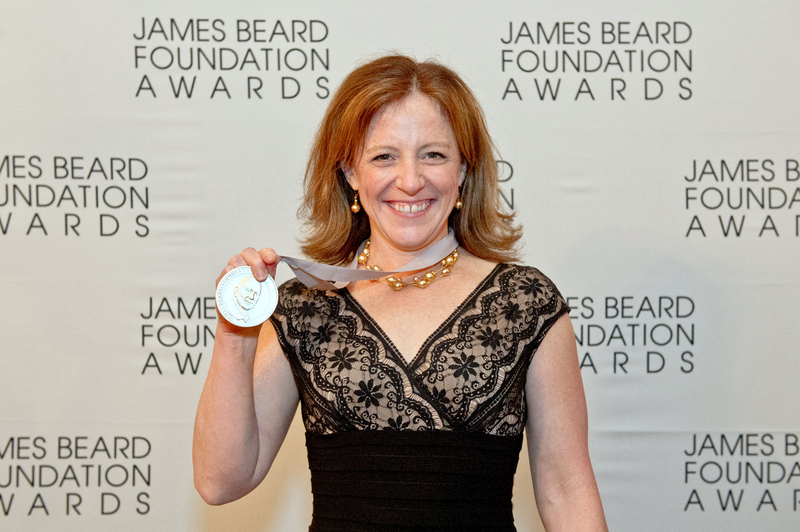 The Outstanding Bar Program Award went to Jim Meehan of PDT in New York, while Lettie Teague, whose ancestors hail from Cork, was recognized for her wine writing in The Wall Street Journal with the award for Food-Related Columns. 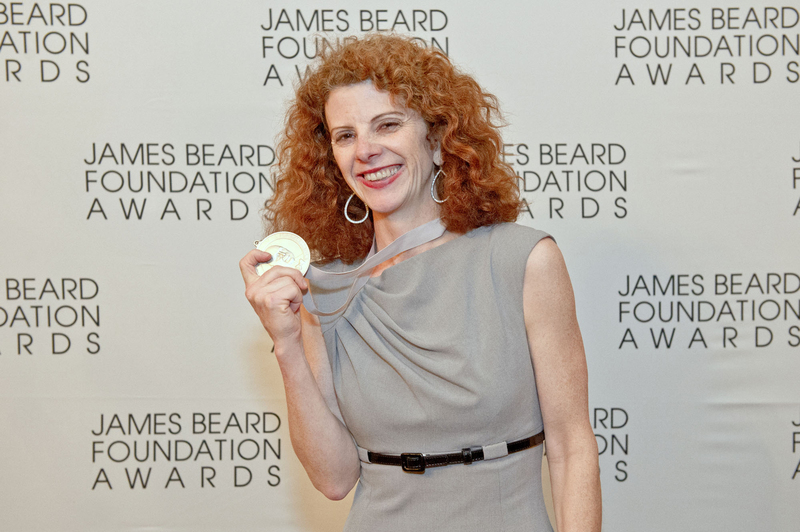 Dana Cowin, Editor-in-Chief of Food and Wine Magazine, was honored with an induction into the James Beard Foundation Who’s Who of Food and Beverage in America. 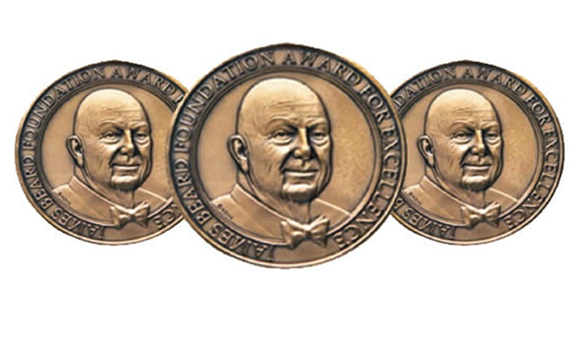 Of course, at the James Beard Awards, the food is the true star of the evening. The small plates served up at the James Beards, provided by various restaurants around the country and all inspired by the recipes and legacy of the man himself, followed some food trends that might speak to what we’ll see in restaurants in the coming months. From lobster to breadfruit, here are a few of the highlights. There was a proliferation of artisanal grilled cheese sandwiches, whether in the form of a Dungeness crab Reuben from Paley’s Place in Portland, Oregon; a crawfish-stuffed cheese panini; or a ham-and-melted-cheese sandwich served with a tiny cup of clam soup for dipping (courtesy of Lark Creek Restaurant Group in California). 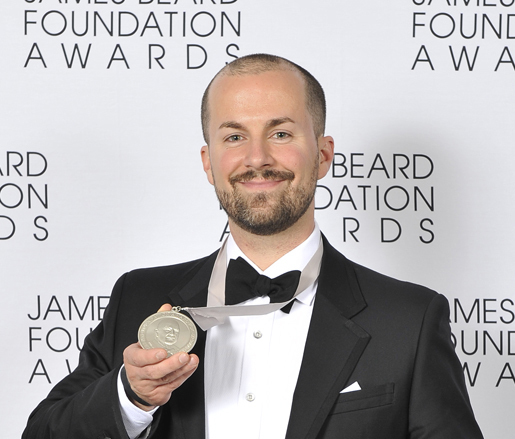 Shellfish abounded even beyond its carb-laden confines, with Bob Kinkead of Kinkead’s in Washington DC delivering a sumptuous take on James Beard’s Cream of Seafood Soup, in the form of an unphotogenic but standout Chesapeake Chowder. 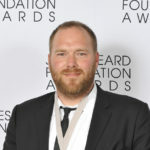 Seared shrimp and tarragon-parmesan grits from Tre Wilcox of Marquee Grill in Dallas were memorable, as was Frank Stitt’s crawfish and gulf shrimp salad (Highlands Bar and Grill in Birmingham, Alabama) and Norman Van Aken’s Billi-bi soup (from Tuyo, in Miami). Perhaps the most surprisingly satisfying was Mario Pagan’s Caribbean lobster ceviche served over a breadfruit mofongo croquette with cracklings. Sarabeth Levine doled out generous portions of strawberry shortcake with heart-shaped sugar cookies. Boulevard Restaurant in San Francisco (winner of the award for Outstanding Restaurant) handed out luscious bites of steak and salmon tartare with truffle shavings until they ran out of crackers, at which point they started serving the tartare (still with beautiful presentation!) on plastic spoons. 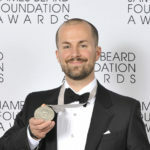 And one bite of the offering from the Outstanding Chef Winner, Eleven Madison Park’s Daniel Humm, was enough to quiet the din of hundreds of food enthusiasts and professionals buzzing in the halls of Lincoln Center: port-infused prune with citrus crème custard and candied violets.